Hangar 46 | If it's about flying – it's about us! If it's about flying – it's about us! 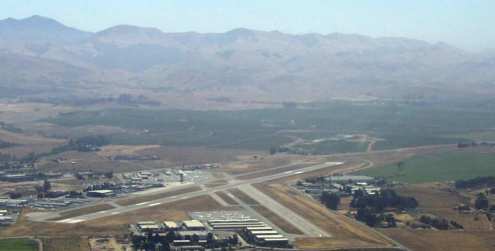 HANGAR 46 has been providing licensed aviation support in San Luis Obispo area since 1989. 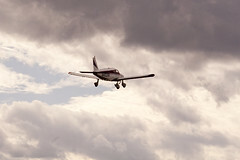 We specialize in aircraft flight instruction, reliable aircraft repair and maintenance, hangar space rental and leasing. We are pilots and mechanics, providing an experienced perspective to maintaining you and your aircraft. If its about flying, it’s about us. Oxygen, quick oil changes, strut service, many parts available on site… we’ll get you on your way safely and quickly. Located on the West Side of San Luis Obispo airport, HANGAR 46 is open Monday through Saturday, and is available evenings and holidays on call. Have a problem? Emergency after-hours service is available. We’ll come out to get you out of a mess. We also offer apprentice experience for Cal Poly and Cuesta College students on their way to degrees. And why not learn to fly while at college? HANGAR 46, established in 1989 – if it’s about flying, it’s about us! Aircraft Owners and Pilots Association – learn to fly!